Dallas has a new park. 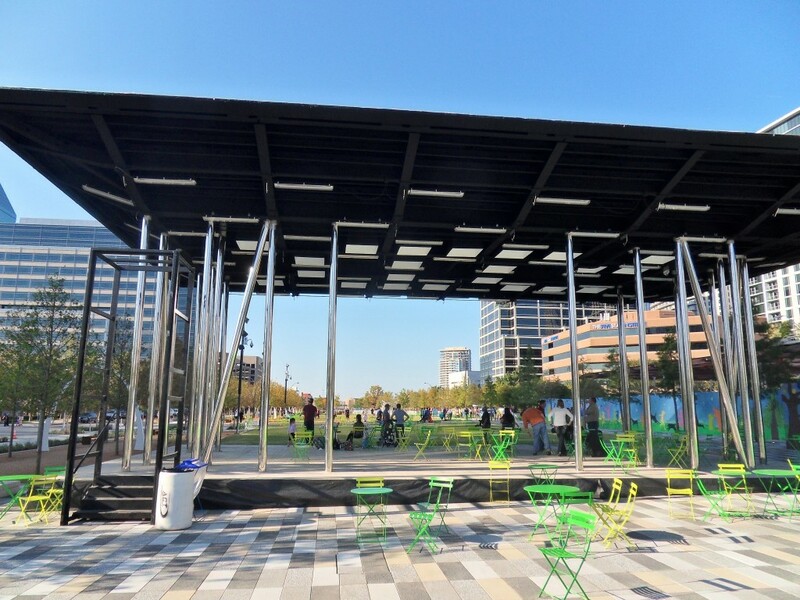 Built atop the Woodall Rodgers Freeway in Downtown Dallas, the Klyde Warren Park is the city’s latest attraction. I went down there early on a beautiful Saturday morning to find it quite crowded. After walking around for a while, I could see why. 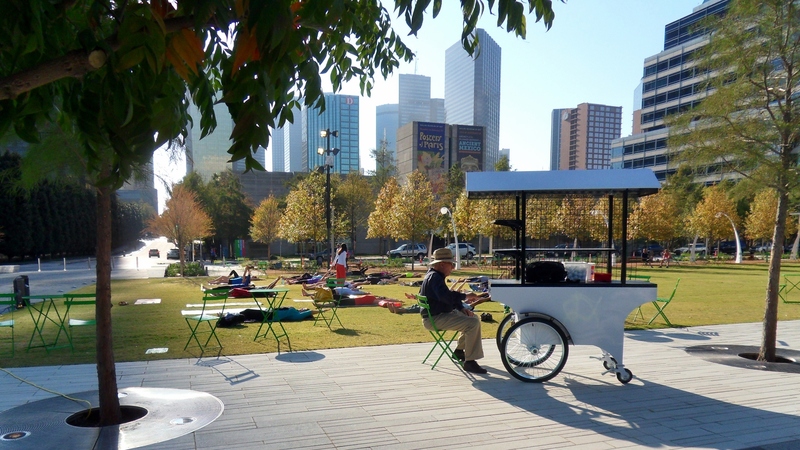 There’s a lot to see and do in Klyde Warren Park. 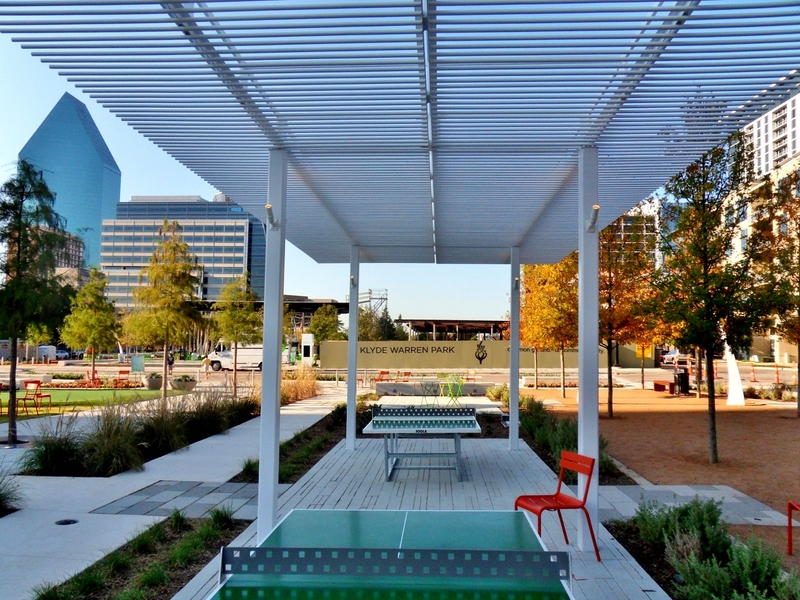 There is a dog park, a jogging trail, ping pong tables, a putting green, a stage, and even a library. There were people there biking, people eating from a gourmet food truck, and people doing yoga on the lawn. All of this was going on atop an ugly downtown freeway stuck between some sterile skyscrapers. 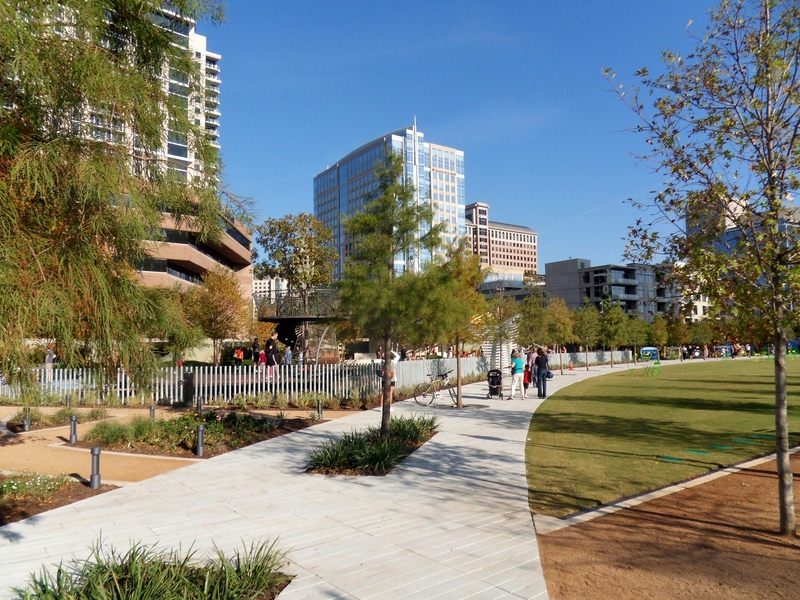 The Klyde Warren Park is a huge improvement to the urban infrastructure, and it was a pleasure to take the following photos. 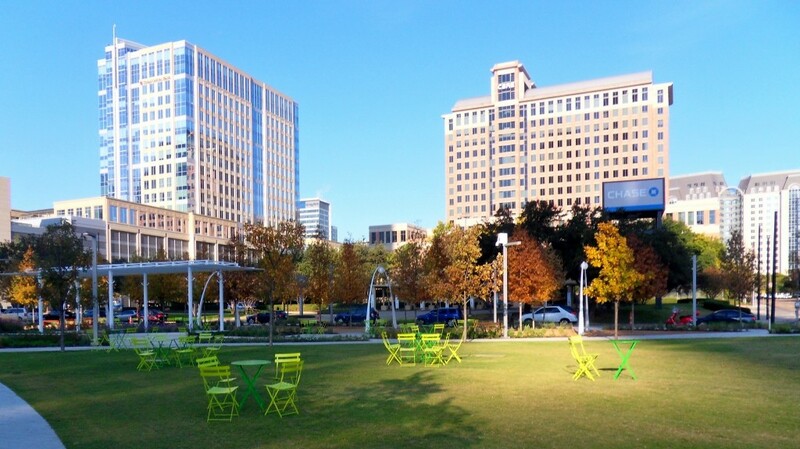 A sunny day in Klyde Warren Park. 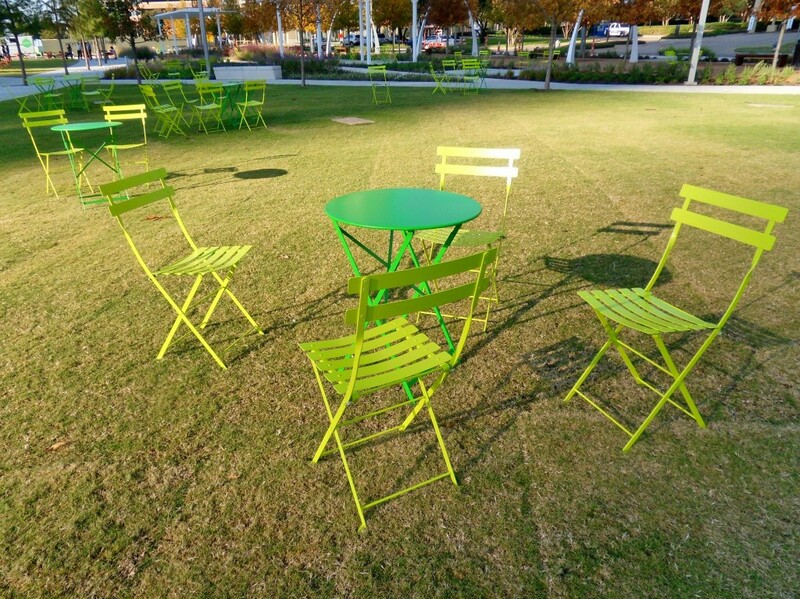 There are brightly colored bistro chairs all over the park. A yoga class on the lawn. 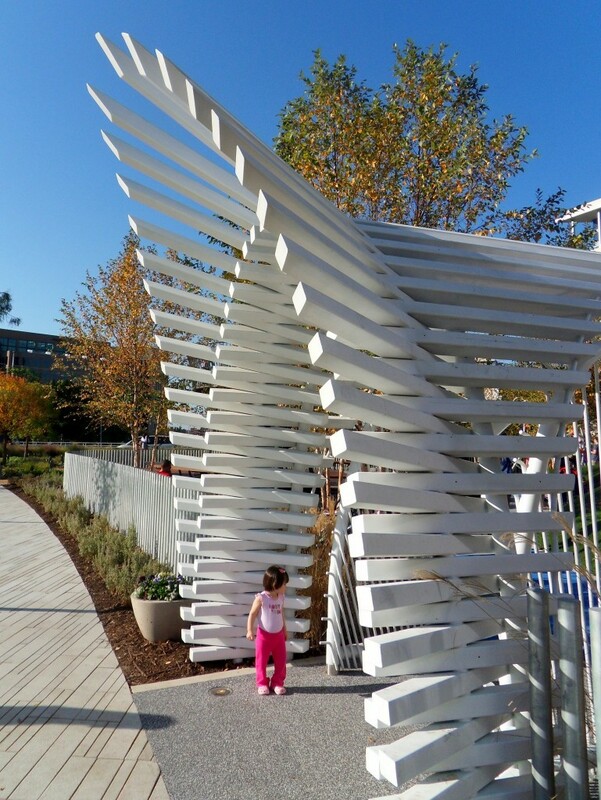 This elaborate archway serves as the entrance to the playground. I wish this playground was around when I was a kid. 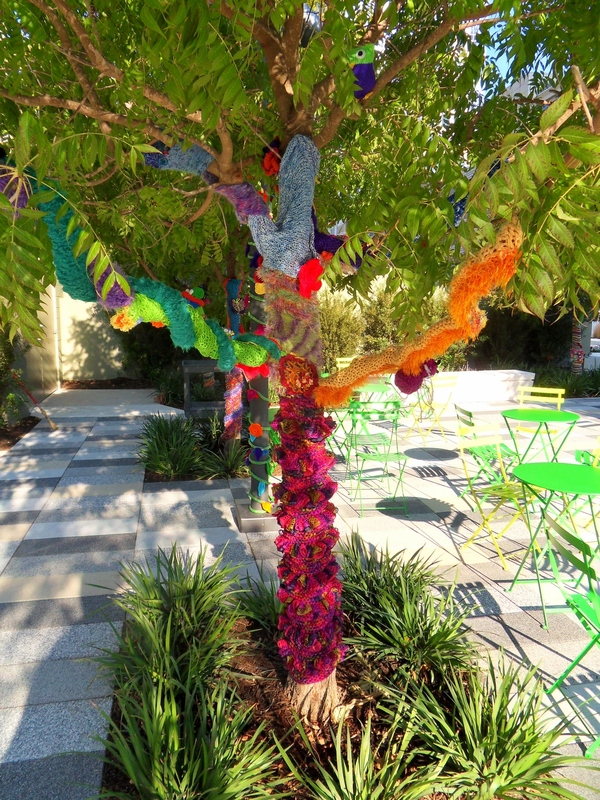 There was a grove of trees covered with crochet. 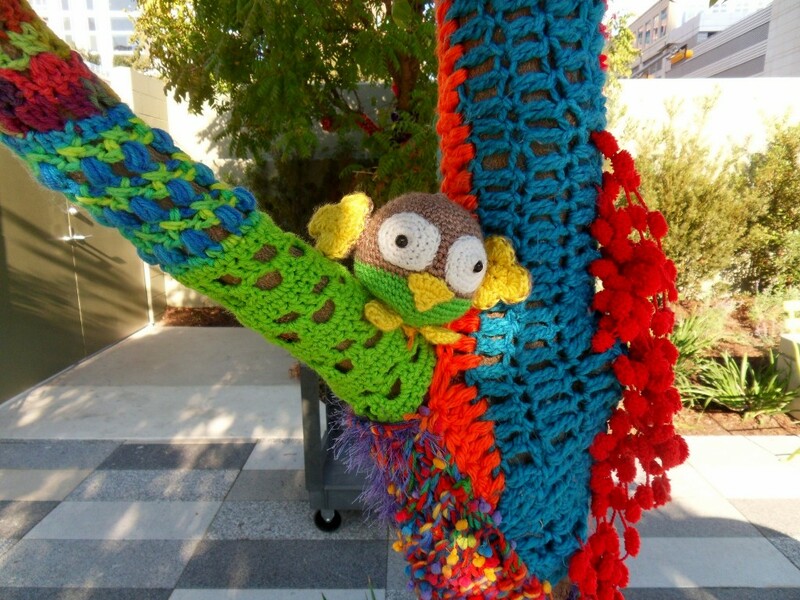 Of all the crocheted art in the park, this owl was my favorite. 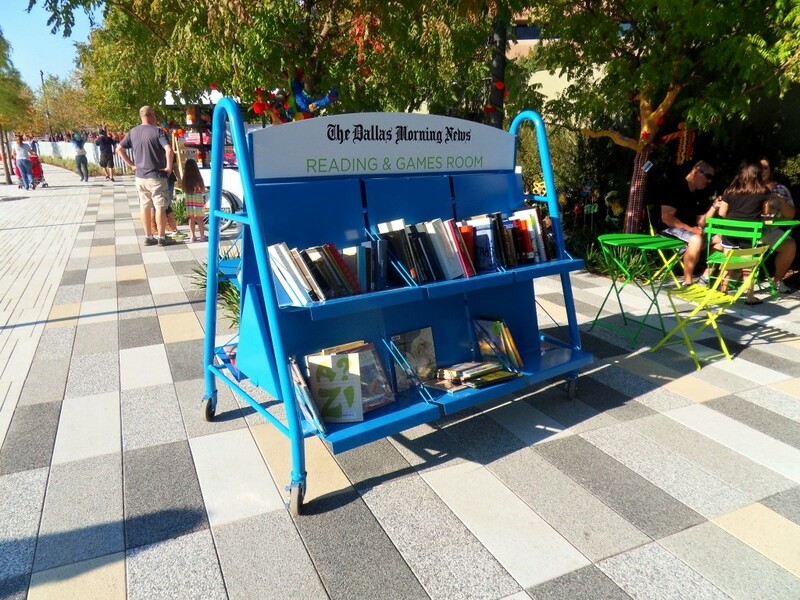 Even though it’s an outdoor park, it still has books and magazines to read. I’m looking forward to concerts and shows on this stage. This pergola provides some nice shade on hot Texas days. 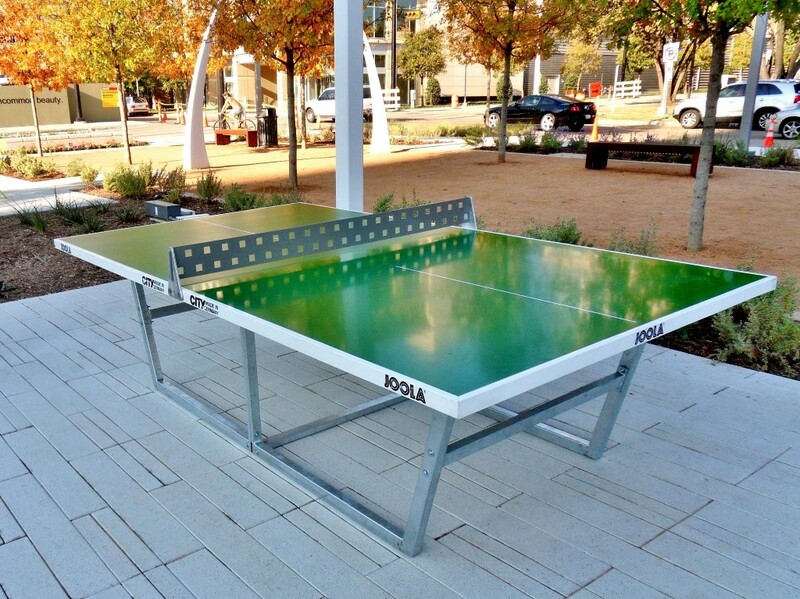 A ping pong table, or as we called it in college, a beer pong table. I’ve been to the Rose Kennedy Greenway in Boston, and I’ve noticed similar crowds there. I think that putting our freeways underground makes a lot of sense. 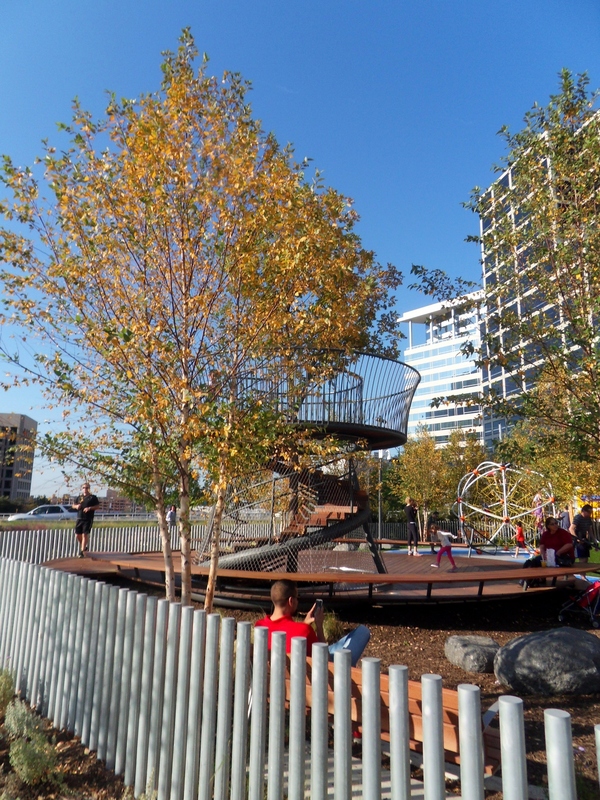 In many dense foreign cities, there are lots of little parks and plazas for people to enjoy. I think there’s an innate human need for a community space, and the Klyde Warren Park is a big step in the right direction.